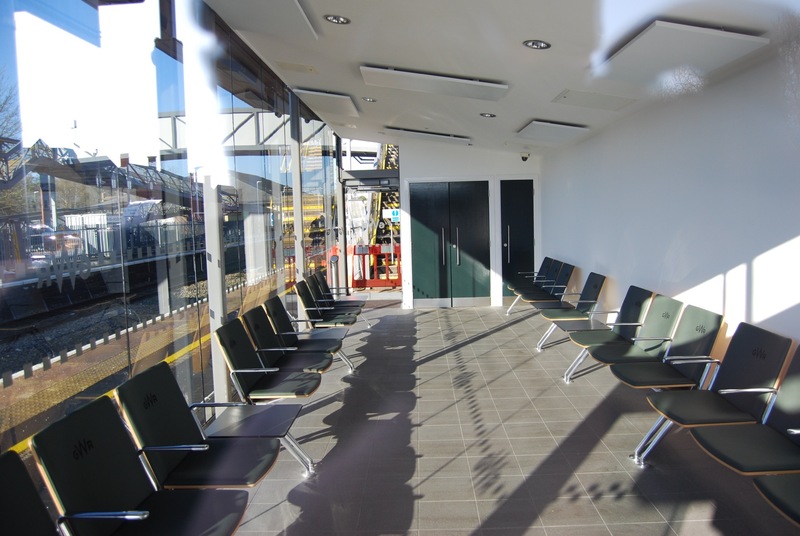 Construction of the new waiting room at Moreton-in-Marsh station is now complete and it is expected to open to passengers shortly. The £400,000 building, which will provide a weather-proof place for passengers to wait for trains towards Oxford, Reading and London from platform 2, will have a dual purpose, as it will be available as a venue for the CLPG and community groups to hold meetings. It will also form a memorial to Oliver Lovell, the founder and past chairman and promotions officer of the CLPG, who lived in Moreton-in-Marsh, and John Stanley, the group’s longstanding membership secretary and newsletter editor. Money from legacies they left to the CLPG was put towards the cost of the project, along with substantial support from Great Western Railway’s Customer and Communities Improvement Fund and grants from Gloucestershire County Council and other local authorities. An official opening ceremony for the building will be held later this year, with members of Oliver and John's families invited to attend, once the back wall of the interior, pictured right, has been decorated with a mural and memorial plaques are fitted. Platform extensions at Moreton-in-Marsh and the other main stations along the Cotswold Line between Oxford and Worcester are also expected to be brought into use during February. Construction work will start shortly at Kingham and Hanborough stations to improve their facilities. 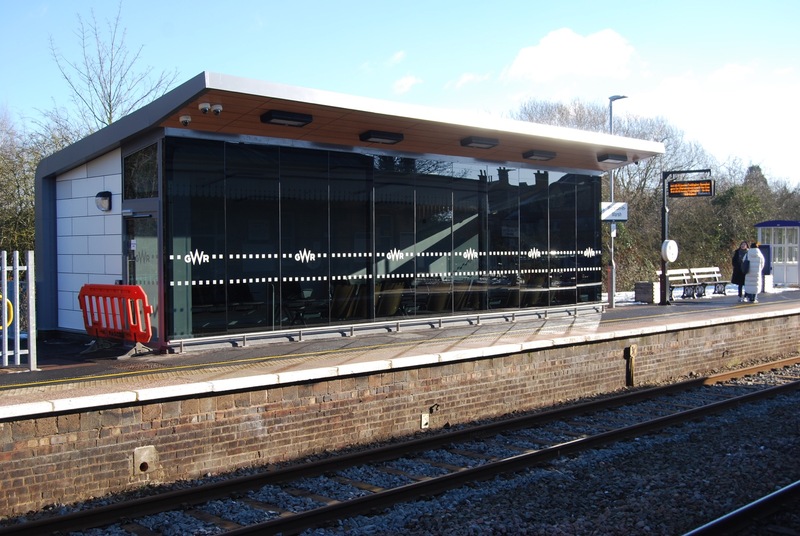 At Kingham, the 1970s waiting room on platform 2 will be replaced, while at Hanborough a new building will house a waiting area, ticket machines and a toilet. A GWR member of staff will be on duty at the station during weekday morning peak periods to assist passengers and sell tickets. Copyright ©2019 Cotswold Line Promotion Group All Rights Reserved.